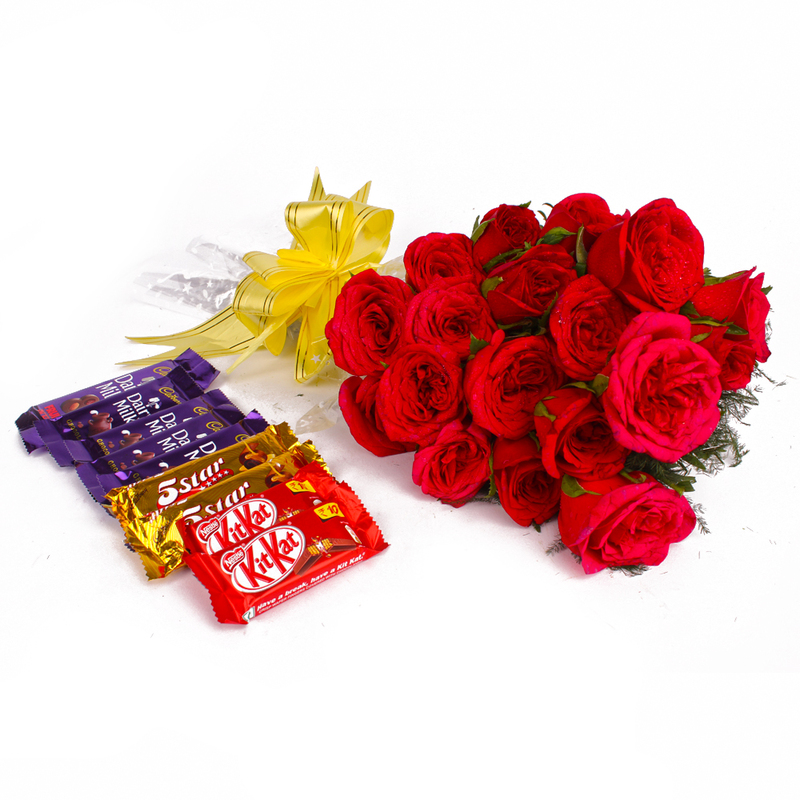 Product Consists: Bouquet of 20 Red Roses along with 10 Assorted Cadbury Chocolate Bars (worth Rs. 10/- each). 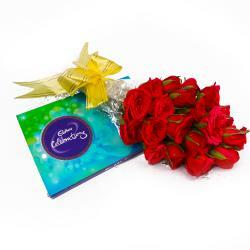 This perfect blends of red roses and chocolates shows your divine and deep love and care dear ones. It includes twenty red roses neatly wrapped in matching cellophane paper packing along with assorted cadbury chocolate bars to make your dear ones feel as special as they are. 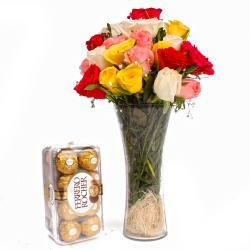 Surprise your special one with these combo on occasion like Birthday, Anniversary, Missing You, Dusshera, Makar Sankranti, Boss Day. Thus send this hamper and bewilder your loving Indian counterpart along with other Gifts to India through Giftacrossindia.com. Hamper contains : Bunch of 20 Red Roses along with 10 Assorted Cadbury Chocolate Bars (worth Rs. 10/- each).